Dhaka, 8 July, Abnews: The Indira Gandhi Cultural Centre, Dhaka is pleased to present a Dance Drama by Dr Mahua Mukherjee on Buddhacharita - In Sanskrita Mahakavya style on the life of Gautam Buddha at Main Auditorium, National Museum, Dhaka on 9 July 2018 from 6.30 pm to 7.30 pm. Prof. Dr. Mukherjee, M.Sc., Ph.D. is currently holding the Tagore Chair at the University of Dhaka. She has done her Botany specialisation in Cytogenetics from Calcutta University. In India she is the Professor at the Rabindra Bharati University, Kolkata and was the Dean of the same institute from 2013 - 2016. 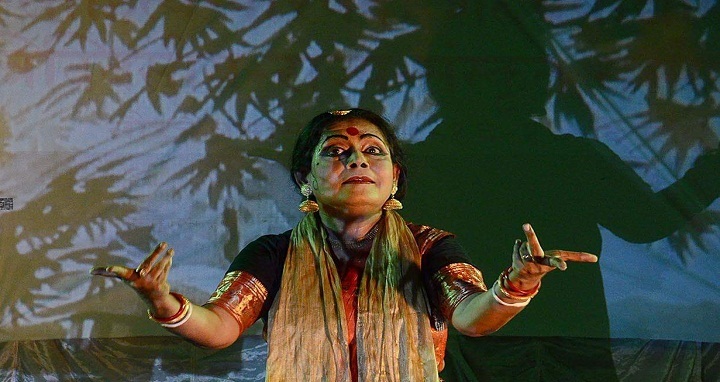 With over 40 years of research work she has revived and reestablished Gaudiya Nritya, a classical Dance form of Bengal, which is more than 2000 years old. She has also taught Gaudiya Nritya as a Fulbright Visiting Professor in Oklahoma Norman University, USA. She has authored around 19 books on Dance amd contributed towards making of documentary films - 1. Dance of God ( 1997), 2.Trance In Motion (2012), 3. Ressurrection ( 2014, Parliament TV Channel), 4. Gaudiya Nritya - Golden Glory A Classical Dance of Bengal, ( 2017, Sangeet Natak Akademi). She has achieved sevaral awards. All are cordially invited to attend the programme. Entry is open (There is no need to collect Invitation Pass).